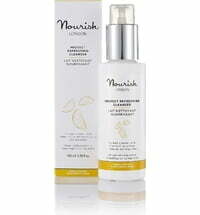 Nourish London offers organic cosmetics that is effective, science-based, vegan and cruelty-free. An innovative brand made using purely natural components that lend the skin a beautiful and healthy appearance. Organic cosmetics made in the UK. 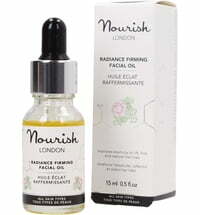 Nourish London is a British organic skincare company offering scientifically crafted, highly effective, organic, vegan & cruelty-free skincare powered by ingredients from nature. Fuelled by a passion for innovation, the brand combines the highest quality natural ingredients with advanced scientific bio-actives to create award-winning organic skincare for beautiful, healthy skin. All of the products use only natural, organic ingredients that work alongside your skin's natural processes to reveal beautiful, radiant, healthy skin. Created by Dr Pauline Hili, a renowned expert in organic skincare with over 30 years experience harnessing the potent power of natural ingredients to create the most effective and innovative natural and organic skincare. All of the naturally active products are creatively conceived and made with love at the Nourish London factory in London. Only the purest, highest quality, cruelty-free ingredients at their optimum levels ensuring we care for your skin as well as for the planet. Through constant innovation and using the latest developments in natural science, Nourish London seeks to create the most effective, 100% natural skincare that outperforms skincare formulated with synthetic chemicals. The brand is passionate about inspiring people to reduce the toxins and synthetic chemicals in their skincare products and to experience the benefits of clean, green, cruelty-free skincare. Benefits for both our skin and our planet.